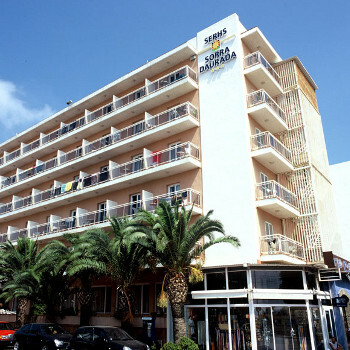 All rooms within the Sorra Daurada Hotel are air conditioned and equipped with a satellite television, telephone and a balcony/terrace. The beach is right outside your front door and the resort centre can be found 150m up the road. We were there for a one week. It was my first holiday at the sea. The hotel is only about 50 metres from the sea. It is situated at the road, where there are many shops, restaurants etc. The food in hotel was delicious. The excellent were the deserts. The hotel has modern equipment. Every evening there was a programme - for example singers, Spainish dancers etc. It was perfect. We were there absolutely contented. I recommend it by all means.